Ashland,OR- SOU hosted the University of Portland Pilots Saturday night at Raider Stadium for Sr. Night with a spot in the PNCLL playoffs on the line. SOU struck first as Sophomore Midfielder #31 Colin Frank scored unassisted 6 minutes into the game. #31 struck again 12 minutes into the game and the Raiders Defense shutout the Pilots to make the score 2-0 at the end of the first. Ashland, OR- The #8 team in the Nation College of Idaho came to Ashland Sunday and dismantled the Raiders. The Yotes scored 5 goals in less then the first 5 minutes and never looked back. 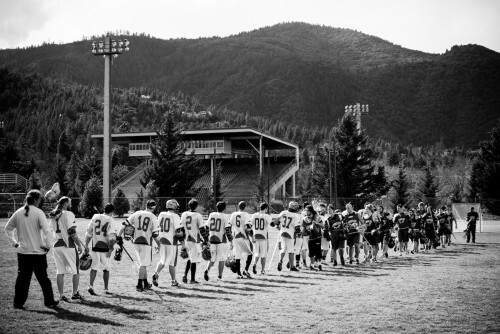 Ashland, OR= The SOU Men's Lacrosse Team returns home after 4 straight road games to host #12 UC-Santa Cruz on Friday at 1pm and then #8 College of Idaho on Sunday at noon. Admission is free. Come out and support SOU! Ellensburg, WA- Central Washington University handed SOU it's first loss of the season in triple OT Sunday morning. The Raiders started the game off very poorly committing un-forced turnovers on their first 3 possessions and giving up 3 quick goals. After a timeout the Raiders woke up and answered with 2 goals to find themselves down 1 at the end of the first. The 2nd qt. was a defensive battle as CWU found the net one time to take a 4-2 lead at the half. 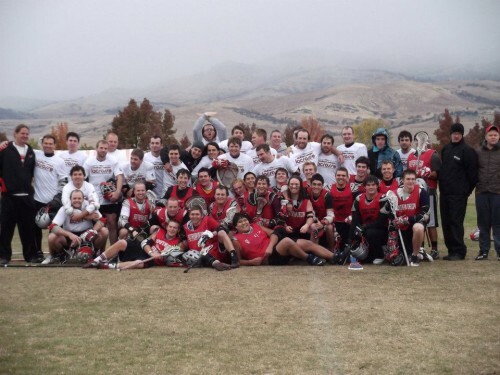 Tacoma, WA- The SOU Men's Lacrosse team was on the road again this time in Tacoma,WA to take on Pacific Lutheran University on Saturday. 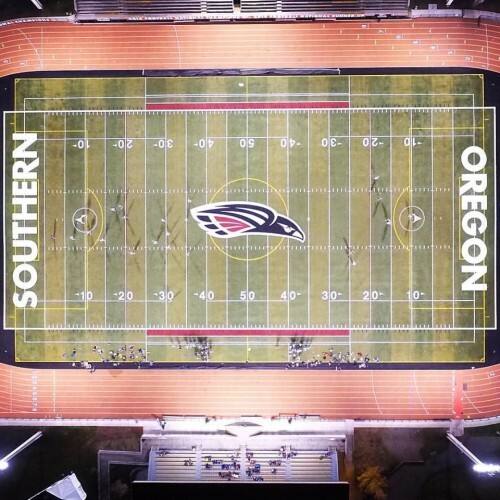 SOU remained undefeated on the season defeating PLU 19-2 led on offense by Captain #1 Andre Morris with 2 goals and 7 assists and #00 Attack Connor Mason with 7 goals and 2 assists. The Raiders dominated the face-off X as #1 Morris won 15 of 18 while Freshman #11 Bennett Running won 6 of 7. Sophomore Midfielder #31 scored 4 goals which is a career high for him. Freshmen #17 Rivas put in 2 goals and 3 assists while fellow freshmen #8 Melcher put in 2 goals with 1 assist. Sophomore Attack #22 Jack Martin finished off the scoring for the Raiders with 2 goals and 1 assist. The win moves SOU to 4-0 on the season and 1-0 in the PNCLL South Division. 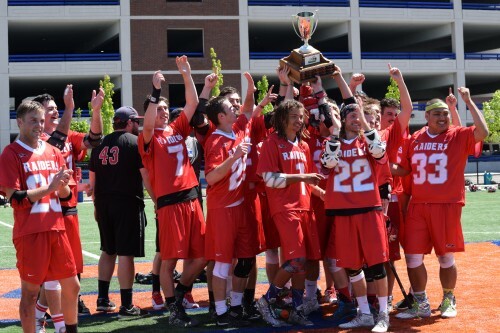 Metro State Men's Lacrosse :: Metro Ranked #22 in New MCLA Poll!